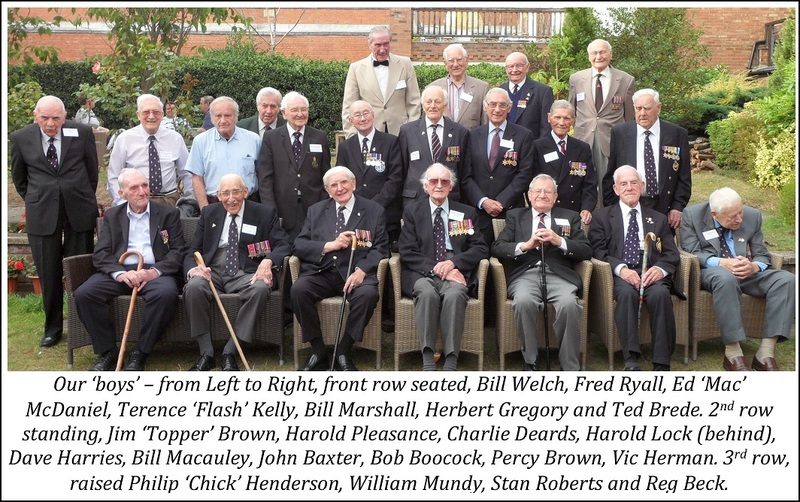 Over 60 members were in Stratford upon Avon for VJ weekend and The Java FEPOW Club's AGM & reunion, including 35 FEPOW, wives and widows, a fantastic turnout! And what a smart turnout too as you can see below! There were several new faces with us this year too, Ted & Sheila Brede, Mary Guy (widow of Bob Guy), Dave Harries, Chick Henderson, William Mundy, Bill Macauley, Margaret Williams (widow of Frank) and Joyce Wilgoss (widow of Roy), as well as Charlie Deards who turned up unexpectedly from California! We were also joined by many Associate Members wanting to meet our veterans, then for the Saturday evening we were also the Stratford upon Avon RBL Chairman and his wife, Pete & Val Summerton, local Councillors Chris Wall & Keith Lloyd and his wife Elaine, ex Mayor Shelagh Sandle and other local friends making over 70 of us for the dinner - this lovely shot of us was taken from the hotel roof! 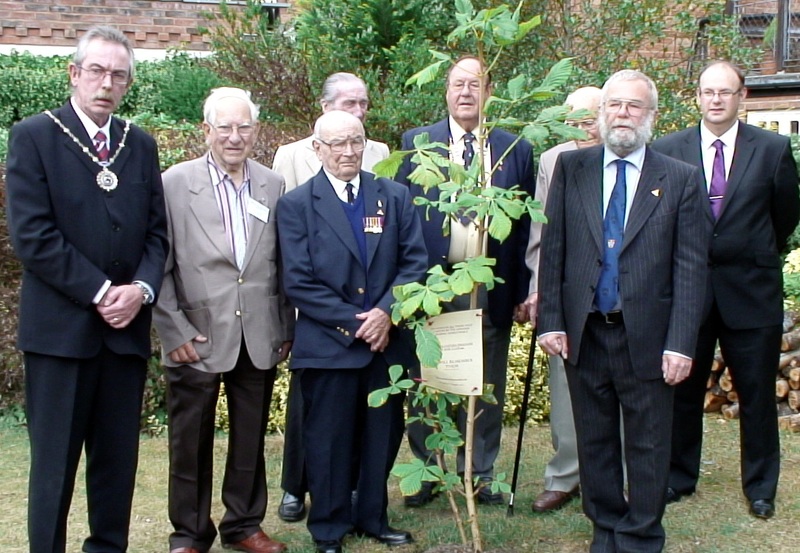 There was a tree planted in memory of all FEPOWs, not just the Java Club, in the garden of The Falcon Hotel, organised for us by Cllr Chris Wall. We were donated a tree by the Stratford Herald who purchased 150 trees to commemorate their 150th year. Sadly this tree died, but fortunately local member Nancy Cooper kindly donated a tree, which was planted in time for our reunion. A brass plaque is being made to mark the spot as a lasting memorial to what was sacrificed in the Far East during WW2. On the Sunday morning, the RBL organised a lovely service for us in the Garden of Remembrance, taken by Reverend Canon Andrew Dow. We've received numerous letters and comments about our reunion - many saying that the whole weekend was fun as well as a fitting tribute, but most strikingly there was great surprise expressed by new attendees at just how much of a warm, welcoming, family atmosphere we have - what a lovely compliment to us all and our Club!